Mahri Smith, an 18-year-old from Ottawa, along with her girl squad turned their bathroom selfie session into a random act of kindness and left us feeling all warm and gooey inside. 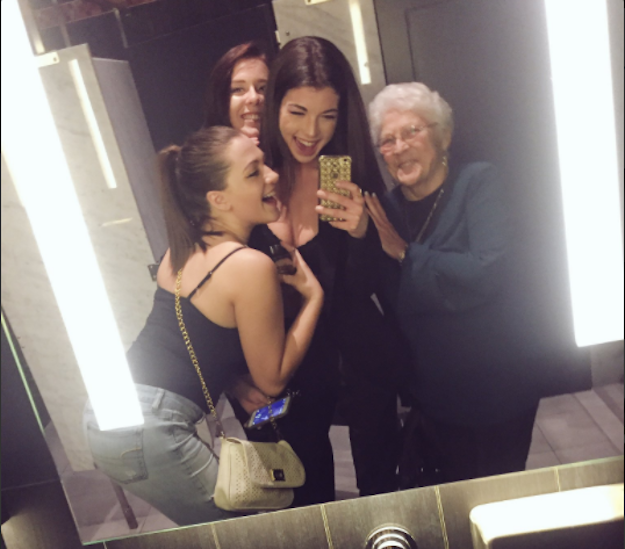 Smith and her girlfriends were taking selfies in a public bathroom when an older woman offered to take a group photo for them. As they small talked, the woman reminisced about her youth when she and her girlfriends would dress up and go out. Smith was touched by the woman's words so she invited her to take pictures with them. Their smiles are priceless! She later shared the heartwarming experience on Twitter and it has since gotten over 250,000 liked and 80,000 retweets! You never know how much impact a simple act of selflessness will have on another person. This story is a perfect example of how kindness never goes unnoticed.